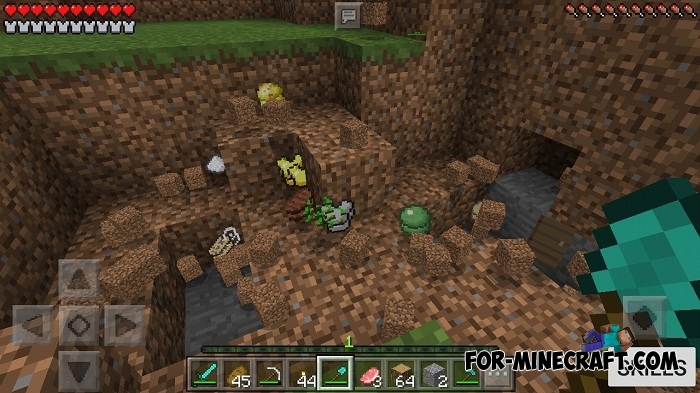 Better Skills mod adds a RPG skill system to Minecraft PE. While the character is doing something, you become more experienced and raise your level. The higher the skill level, the more opportunities are available to you. 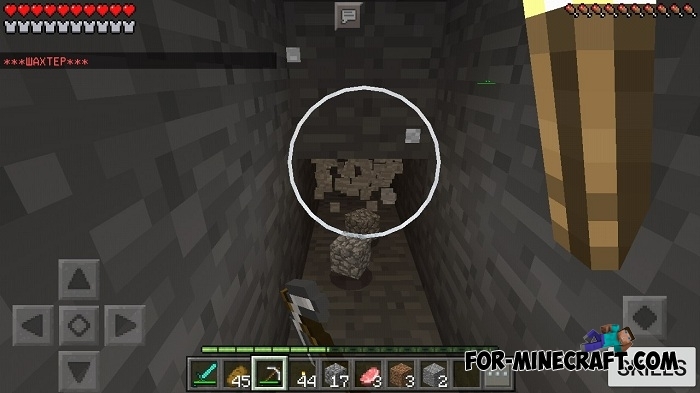 Mining skill increases with the extraction of stone and ores in mines. Double drop - there is a chance of a double drop of resources from ores. Miner - for a while allows you to instantly break blocks (even obsidian). Fencing skill improves when fighting mobs. Strength - for a while increases the strength of the character. Felling skill increases with the extraction of wood. 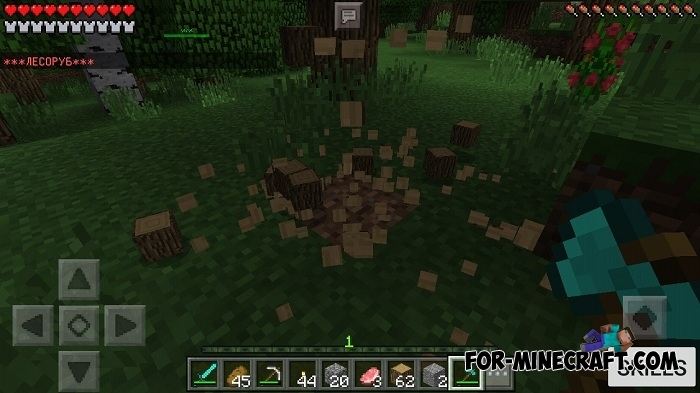 Logger - with a certain chance, you can cut down the whole tree at once. Excavation increases when excavating earth, sand or gravel. Treasure hunt - allows you to find different objects during excavations. /addm - add experience points to the mining skill. /addf - add experience points to the fencing skill. /addw - add experience points to the felling skill. /adde - add experience points to the excavation skill. 1. Install the BetterSkills v.1.js file as a ModPE script. 2. Move the progressbar.js file to the "games / com.mojang /" folder. This mod is the second life of SkillsMod for Minecraft PE. It was rewritten from scratch, because it had a lot of bugs.